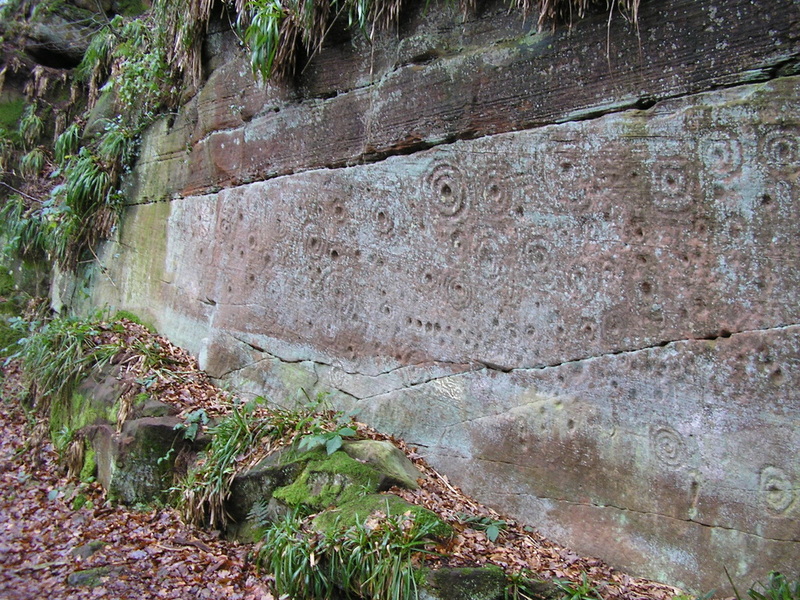 Rock art is a term used to describe designs that were carved mostly onto earthfast rocks or boulders in the later Neolithic and Bronze Age periods of prehistory. These enigmatic remains are therefore about 5,500 to 4,500 years old — remarkable survivals that have puzzled generations of antiquarians and archaeologists as to their meaning. Rock art was made in prehistoric times in many parts of the world — in some places depictions of people and animals are common. 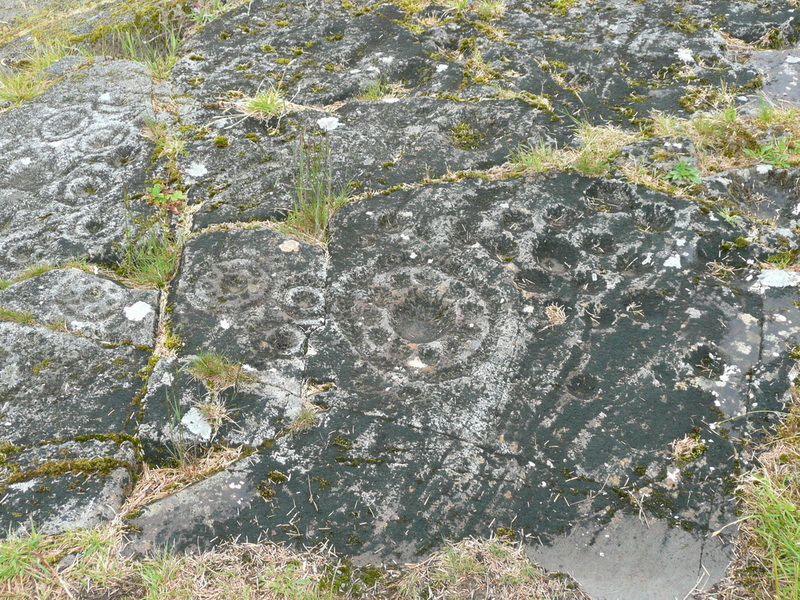 In Scotland abstract designs, usually shallow circles or cups, sometimes surrounded by rings (‘cup and ring marks’) are the norm. Similar designs are also found in England, Ireland, Wales, Brittany and north-west Spain. 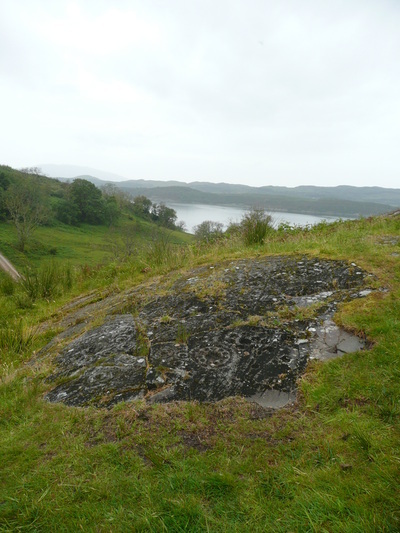 Recent research suggests that rock art held a close relationship to its landscape setting. It is thought these carvings were an important means by which prehistoric people made sense of their surroundings. In some areas of Scotland the tradition appears to have been very strong, particularly in Argyll and Bute, Dumfries and Galloway, highland Perthshire and around the Moray Firth. 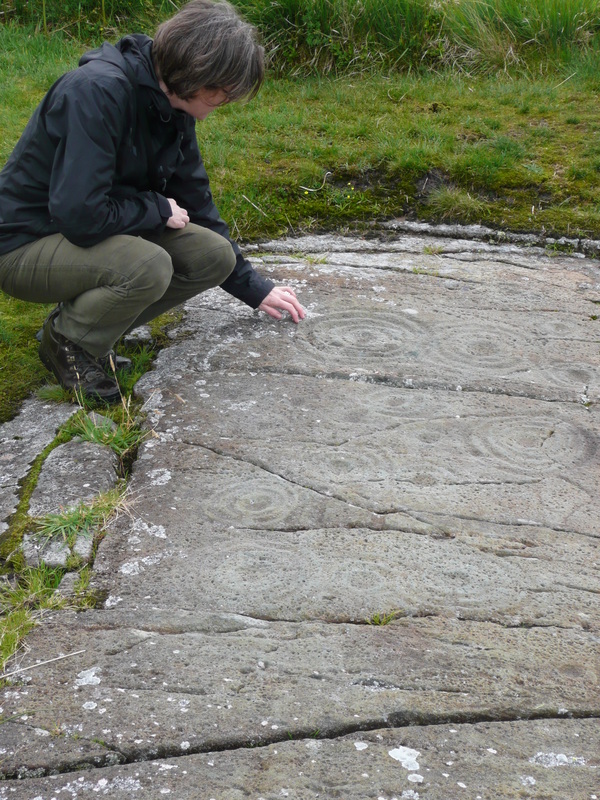 Elaborate so-called ‘passage-grave art’, distinctive designs found along the Atlantic seaboard, was carved onto stones at prominent places in burial monuments, particularly in Orkney. Very rarely, representations of copper flat axes were also made on burial monuments. Some designs — possibly no more than scratches — were found recently during excavations of Neolithic houses in Orkney. We also now know that some of these designs were defined with coloured pigment. T Barnett and K Sharpe (eds) 2010. 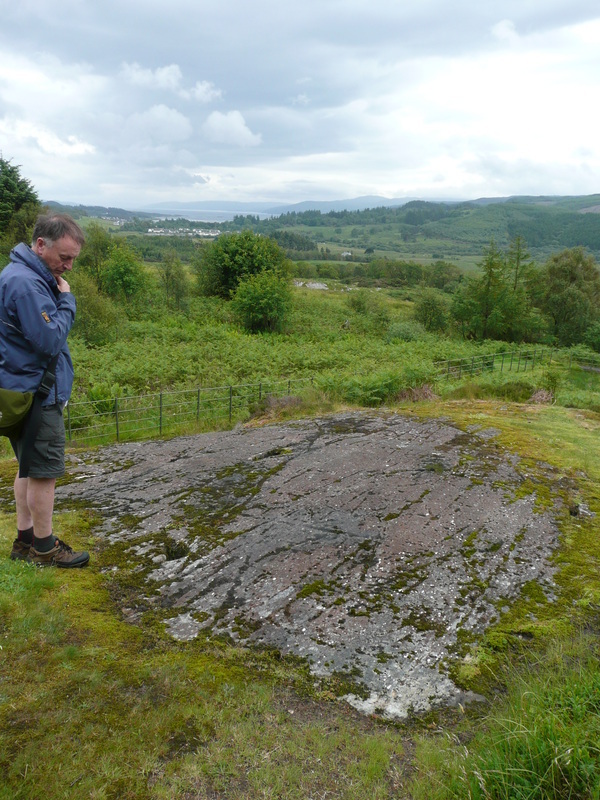 Carving a Future for British Rock Art. New Directions for Research, Management and Presentation. Oxford and Oakville: Oxbow Books. R Bradley 2009 (repr 2010). Image and Audience. Rethinking Prehistoric Art. Oxford: Oxford University Press. A M Jones, D Freedman, B O'Connor, H Lambin-Whymark, R Tipping and A Watson 2011. An Animate Landscape: Rock Art and the Prehistory of Kilmartin, Argyll, Scotland. Oxford: Windgather.